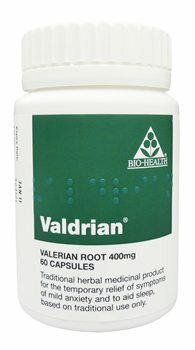 Valdrian is a traditional herbal medicinal product for the temporary relief of symptoms of mild anxiety and to aid sleep, based on traditional use only. For the temporary relief of symptoms of mild anxiety, take 1 capsule 3 times daily, swallowed with water. Maximum daily dose - 4 capsules.